Yes, merely creating a package appears to be such an earth-shattering system-wide task that it can't wait for that other project. 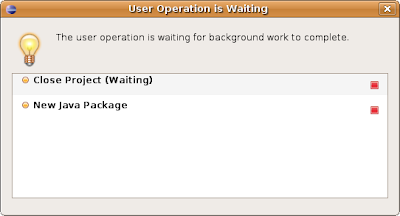 Of course, the best part is that the project-closing operation appears to be stuck indefinitely. Given what I've learned about trying to stop things, I gave up and went straight for the kill command.